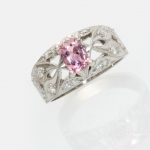 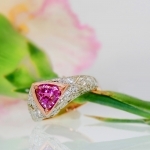 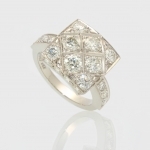 One-of-a-kind radiant cut Zircon and round Diamond ring. 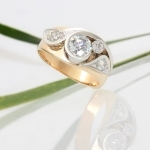 One-of-a-kind 14K Yellow Gold and Platinum Diamond ring. 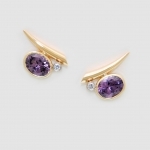 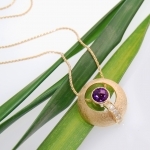 Hand Fabricated 14K Gold earrings set with oval Purple Spinel and round Diamonds.